April in Virginia Beach means spring is in full effect as we set our sights on sunny days ahead. While we say goodbye to winter, we say hello to strawberry fields as far as the eye can see in Pungo and the buzz of Saturday morning farmers markets in the ViBe. With comfortable temperatures and days getting longer, spring in Virginia Beach is all about getting outside and exploring everything our coastal city has to offer. 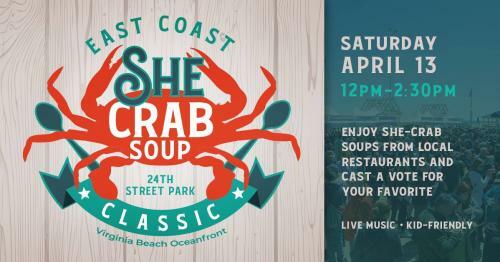 Here are some April events in Virginia Beach that you won’t want to miss. 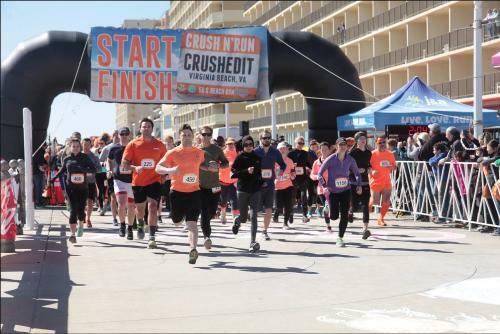 From one local delicacy to another, the Crush ‘N Run 5k Beach Run, celebrates another Virginia Beach staple, the refreshing Orange Crush, with a 5k run along the beach for a good cause. The race supports Camp Grom, a local therapeutic sports camp for wounded warriors, families of the fallen, and adults and children with disabilities. Dress yourself in all-things-orange, lace up your running shoes, and head to the Shack on 8th for a workout and an afterparty that will kick your spring off in true Va Beach style. The East Coast She Crab Soup Classic, presented by ECPI University’s Culinary Institute of Virginia, is an annual celebration of one of our local culinary staples - She Crab Soup. Pitting some of the finest recipes against each other, local restaurants compete to take home the People’s Choice Awards, determined by you, the taster. 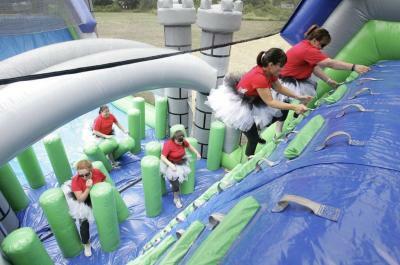 The Great Inflatable Race is a fun run with inflatable obstacles spread throughout the running course. You and your friends will feel like kids again as you jump, dive and bounce on our custom-designed inflatables. Get fit, support a good cause and create epic memories that will not soon forget. 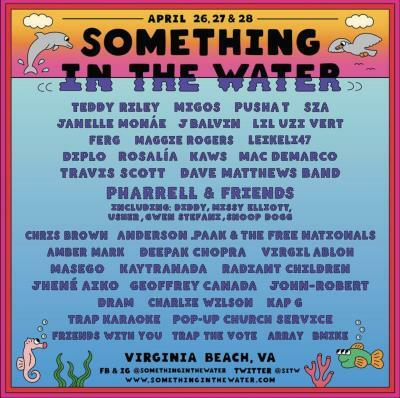 Virginia Beach native, Pharrell Williams, is bringing the first installment in what promises to be one of the biggest annual festivals in Virginia Beach with Something in the Water, a three-day music and cultural experience. With this year’s performances including internationally-acclaimed recording artists like Diplo, Travis Scott, Dave Matthews Band, Chris Brown, Missy Elliot, Snoop Dogg, Diddy, Gwen Stefani, Usher, and many, many more, this is not an event that you want to miss. For three days, the Virginia Beach Oceanfront and Convention Center will come alive with some of the biggest names in music and technology for a perfect kickoff to the summer months for all ages.